Idk, I've been away for a while. Not sure. Waste has Fire, Hiko has Lightning, Gin has Whitebeard's. Hmm not sure about that, there are pretty strong people out there other than moi. Nah, we're around the same level I guess. 03:49 PM - Going Merry tagged Dr. Cox in thread Should I leave? Should I stay? Should I come back another day? 07:06 AM - Kikyo tagged Dr. Cox in thread OPB Twitch Channel? 02:50 AM - Jamal Henderson quoted Dr. Cox in post Akainu not the final villain? 08:30 PM - BTR quoted Dr. Cox in post Doflamingo Overrated? 08:27 PM - Dr. Cox quoted Alibaba Saluja in post Doflamingo Overrated? 11:21 PM - Alibaba Saluja quoted Dr. Cox in post Doflamingo Overrated? 11:11 PM - shri3kbat quoted Dr. Cox in post Doflamingo Overrated? 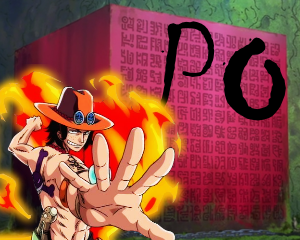 11:04 PM - All Hail King Luffy quoted Dr. Cox in post Doflamingo Overrated?